In the beginning, Ibis is always good, but throw the year the quality drops sensibly. No toils to face, cleaning of the room very poor, heater does not work or work with loud noise. Overall it is a nice hotel for business tril, excellent customer services. i´d like to thank all employees for the special dedication in my stay. 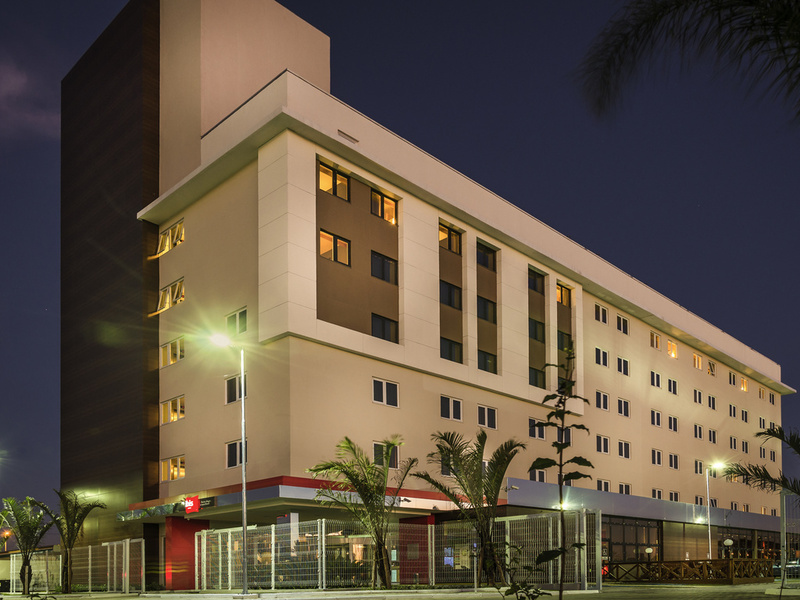 I`ve been staying in many Ibis and this one is the best i´ve ever seen. I liked the dog you have as adopted one. Good action. Who loves dogs has many points with me. Regards. Peaceful. Uneventful, just how I like it. O CAFÉ PODERIA ESTAR INCLUSO NA DIARIA. Upon arrival we found that they didn't respect our reservation. Switch two rooms with two beds each for rooms with just one bed. They even told us that they didn't have two bedded rooms. When confronted (we stayed last year at the same hotel) they accepted that they indeed had those rooms but where given to somebody else. I was not given a receipt for the breakfast my company paid. It was close to the FIERGS EVENT CENTER and the restaurant was simple but efficient. That was all I needed. If you are looking for night life, maybe it is not the best place to be, but for me it was more than enough. Good. Exactly what I expect from any other stay at Ibis hotels.